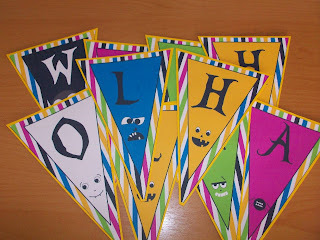 halloween bunting banner ... finished and ready to hang! day 125 and i am using a free pirntable i found on pinterest to make a halloween paper bunting today. the bunting is downloadable on catch my party and is provided free by krysten at clickable party. i pinned krysten's halloween party download to my holiday goodness board on pinterest. i really love the colours of krysten's halloween pack and plan to use lots of her printables for different parts of the halloween party. i started off by printing out the banner pages and cutting them. to make them a little more sturdy i decided to matte them in yellow cardstock as well. to finish the flags off ready for hanging i punched a hole in each corner (but not too close to avoid ripping) and then threaded them together using ribbon. outcome: so cute and much nicer than the plastic ones i have seen for sale! 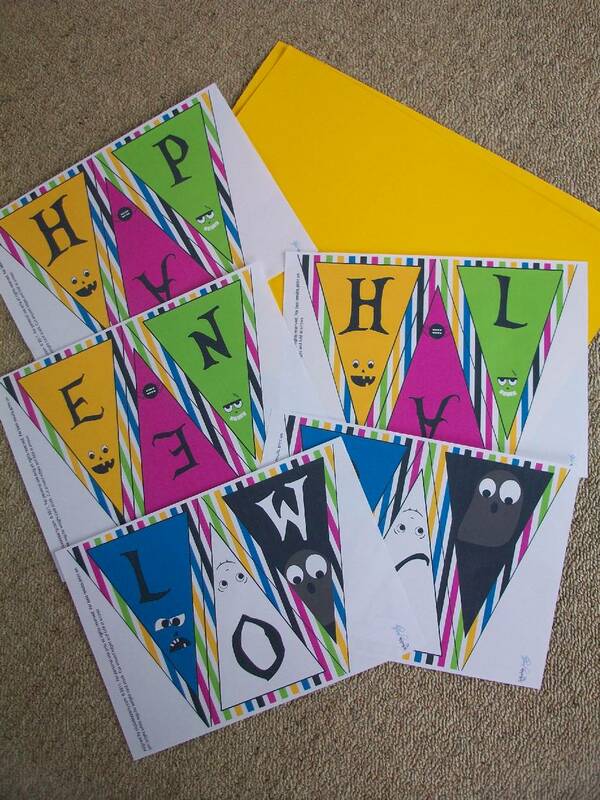 i really love the colours, they are perfect for our springtime halloween! 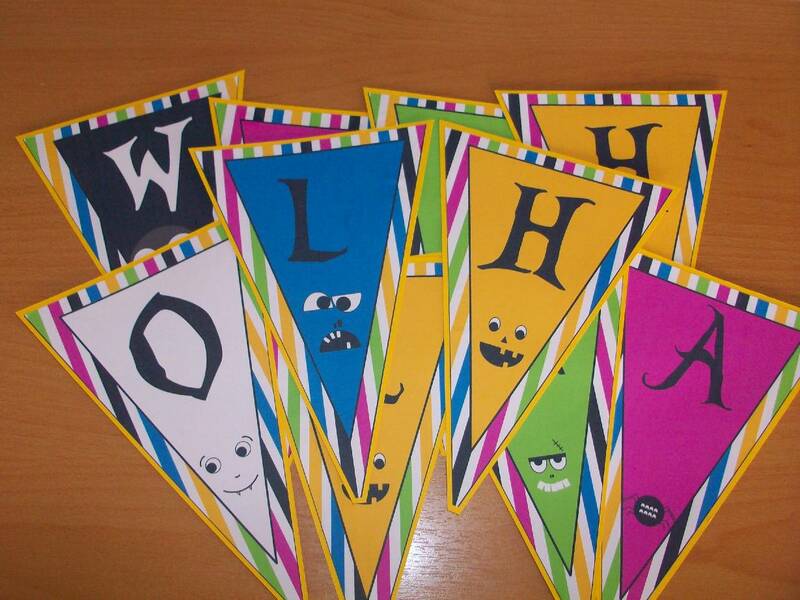 the bunting flags printed out beautifully and i adore all the different faces on each one. 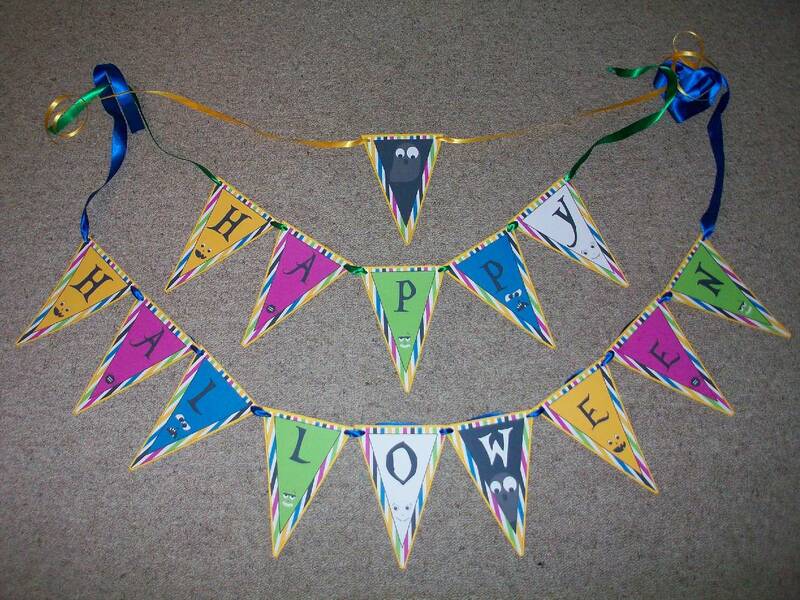 now all i need is to match a bunch of balloon colours to the bunting and find the perfect place to hang it! i am so grateful to krysten at clickable party for providing this halloween pack for nada, it makes living on a fixed single income budget that much easier, especially at festive times of the year when money goes out the door faster than it comes in!